Technically speaking, a wing is a surface used to produce lift for flight through the atmosphere – or occasionally through another gaseous or fluid substance. 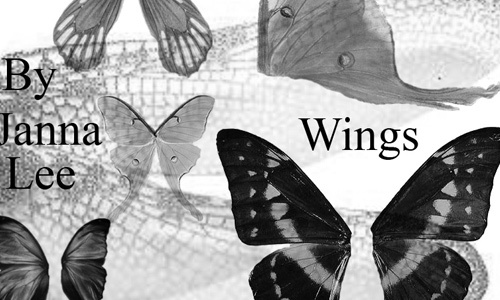 Most people tend to associate the word ‘wing’ to birds, butterflies, bats and other leaving creatures that can fly. Through man’s desire to be able to experience the feel of flying, our society has exhausted its resources to come up with ways to reach through the endless sky. It wouldn’t surprise us if years from now, man will indeed fly through the sky in his own… With our extensive and creative imagination, we will surely find ways! For our latest update, we have added more brushes that you can download for free and use for your next design projects. Scroll down and check them all out below. Come, take a peek, and choose your pick! 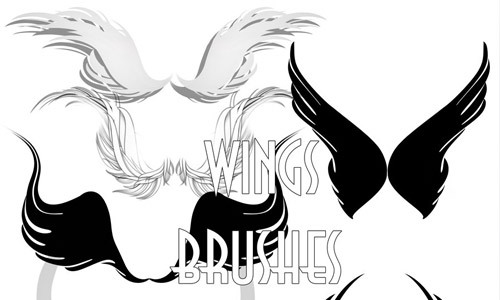 To start the list, we have a set of 11 wing brushes for Photoshop. It includes eerie bat wings of various shapes. They were made in Photoshop CS but are compatible for Photoshop 7 and later versions. These brushes are free to use for personal designs, but if you do use them, proper credit to Falln-Stock is required. This second pack is a big one. 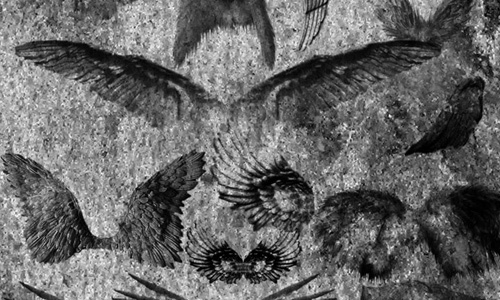 It includes 35 wing-shaped fractal brushes that range in sizes from 600px to 1100px. They are great if you’re going for a fantasy-themed design or any design you think it would fit. Credit is required if you use these brushes. 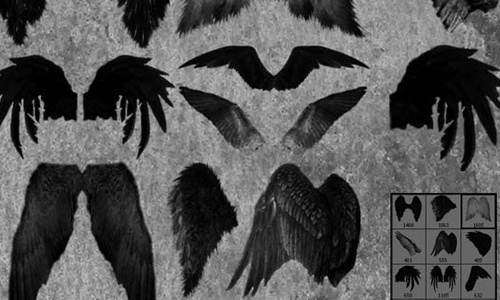 In this pack, you have 14 feathery Photoshop brushes that you can add to your resources if you need a wing or two in your design. The brushes’ sizes range from 400px to 1500px and come in various shapes and styles, ready to meet your needs in your designing projects. 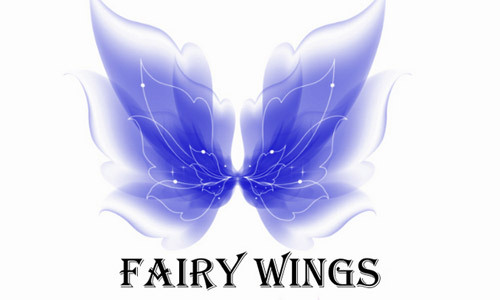 If your theme is about fairy and fantasy, then this pack could be a big help to you. 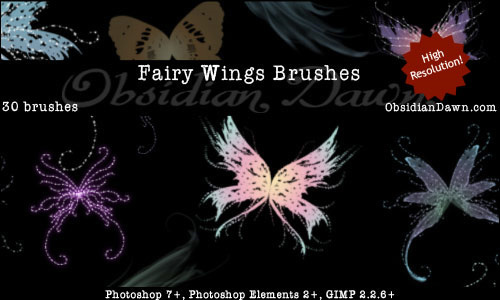 It contains 30 hi-res fairy brushes (15 pairs) where sizes range from 1100px to 1800px. They are compatible for Photoshop 7 and later versions as well as GIMP 2.2.6 and above. Commercial use is allowed for free as long as proper credit is given to Obsidian Dawn. 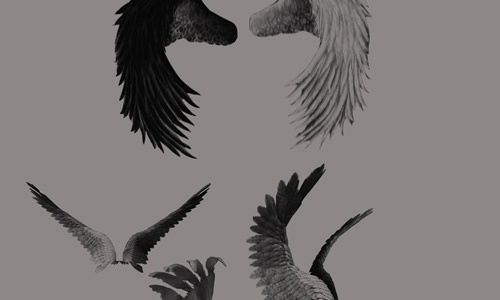 This next pack consists of 37 ABR brushes of wings. The brushes work on Photoshop 7 and later versions. 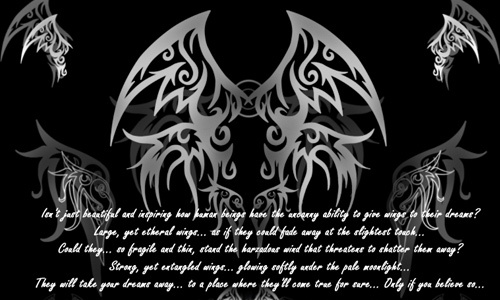 It includes different kinds of wings from angel, butterfly, dragon, and more. These are also free for commercial designs as long as the owner (Obsidian Dawn) is given proper credit. These next brushes were made from calligraphy ink, giving it an additional rad effect if used with imagination. There are 7 high-resolution brushes included in this set that range from 800px to 2000px. These are only available for personal designs. There are three brushes in this next freebie. All these brushes are completely free to use on any of your design projects, including prints. However, using this pack requires a link back from where you downloaded them. The sizes of the brushes range between 450px and 760px. 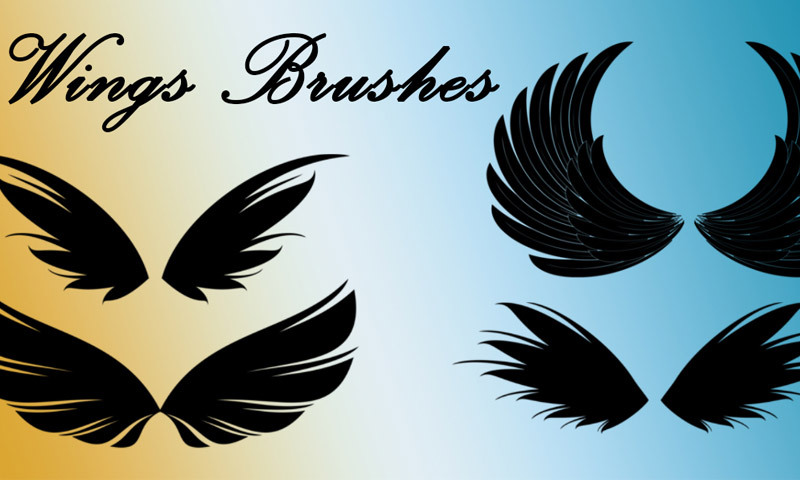 This next brush set contains 10 (5 pairs) wing brush freebies for Photoshop. 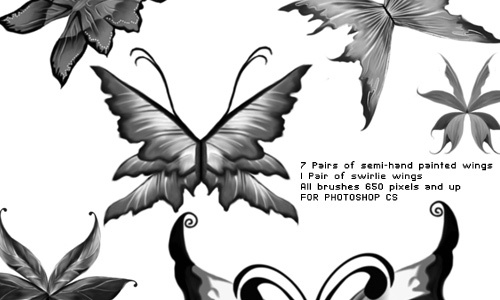 It is applicable for digital artworks and photomanipulations that need wings. These were made in Photoshop 7 and will also work for later versions of Photoshop. Using these brushes require credit and linkback to the owner. 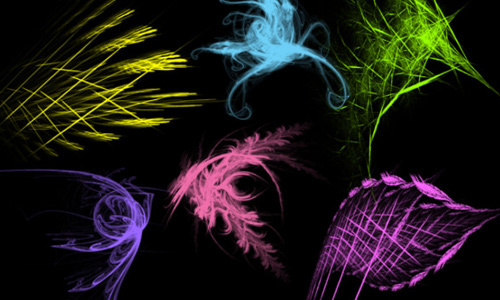 This pack contains 5 feather wing brushes that were created in Photoshop CS2 and works for Photoshop 7 and above versions. 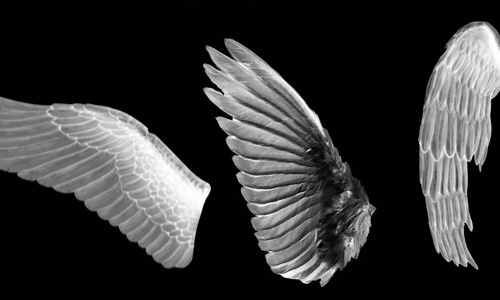 The brushes were taken from real images of feather wings. 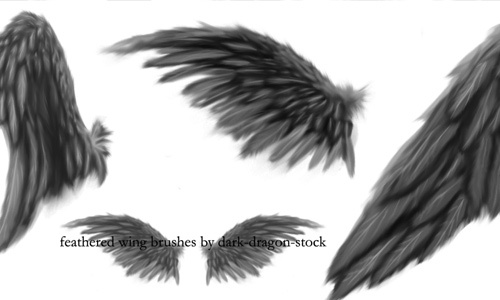 Here you have 5 pairs of digitally created, fantasy wing brushes. The brushes were made in Photoshop CS but are still compatible to Photoshop 7 and the later Photoshop versions. They are great in creating fantasy designs and other fantasy or fairy photomanipulations. Hi there! Be sure to check out these useful brushes and find the best ones that you can use for your design. 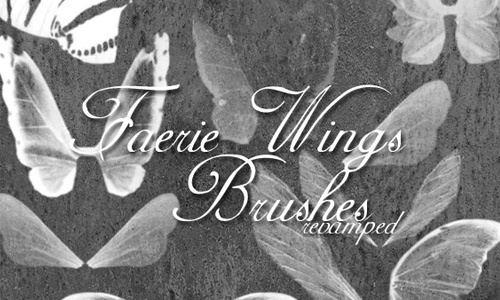 Faerie Wings Brushes II consists of 11 wing brush freebies (10 butterfly wings and 1 dragonfly wing). These brushes are only compatible to Photoshop CS and later versions of Photoshop. They are only for personal projects and requires credit when used. 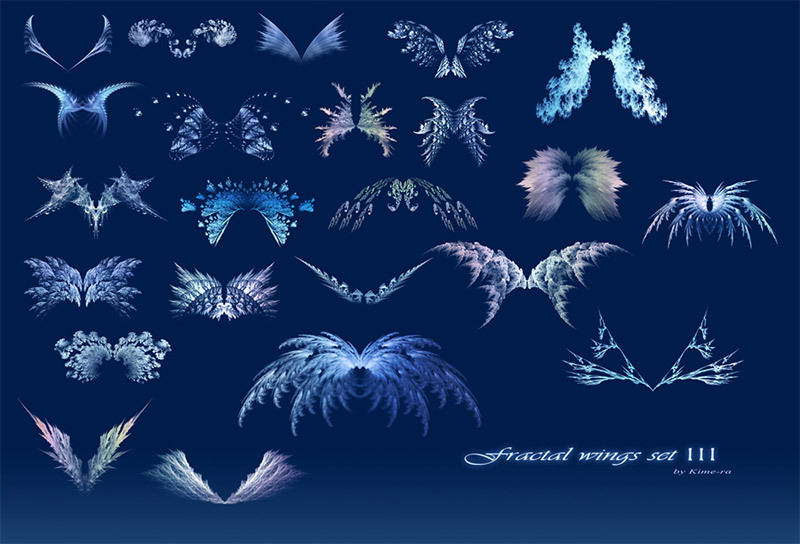 This set includes 24 large fractal wing brushes that range in size between 1000px and 1800px. They are all compatible to all versions of Photoshop CS. 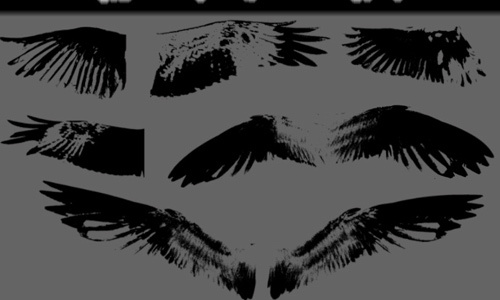 This next set includes 5 wings brushes that were taken from real images of bird wings. Sizes range in 358px, 364px, 855px, 1751px, and 1940px. 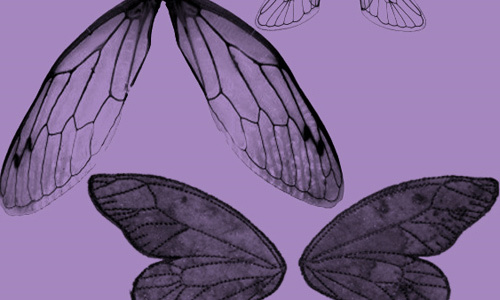 Here is a set of insect wings brushes that you can add to your Photoshop resources. These brushes are compatible for Photoshop CS and later versions. They are only available for personal designs and require a linkback if used. 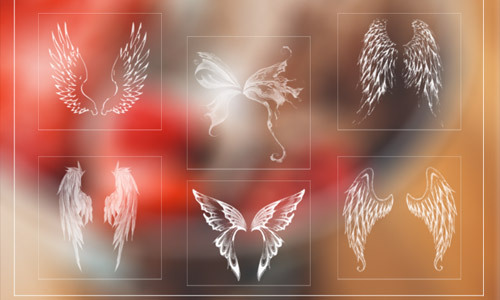 This next set contains 16 angelic Photoshop brushes that you can download for free. They all vary in shapes and sizes and can be used for Photoshop CS and later versions. Proper credit must also be given when using the brushes in this set. 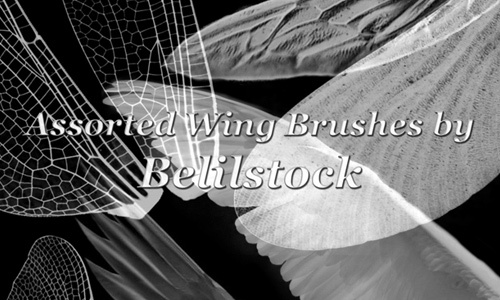 A pack of 4 feathered wing brushes that were created from scratch through hand drawing. You can use these brushes on any design projects that you have. 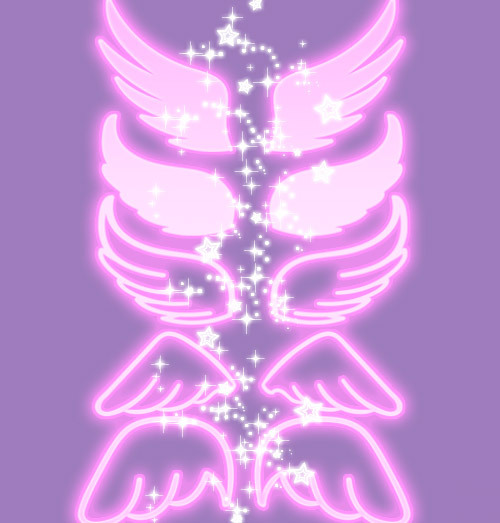 Another set of angelic wing brushes. It includes 6 Photoshop brushes in small sizes ranging from 400px to600px. 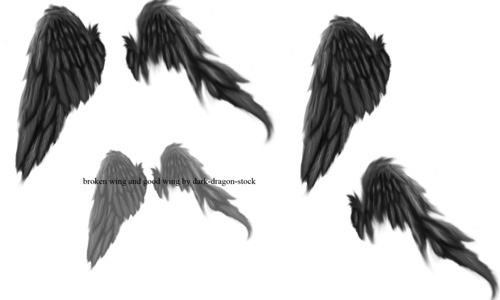 Here we have 8 digitally created wing brushes. They are all in 500 pixels and can be used for digital artworks and manipulations. This next freebie is a set that contains four huge wing brushes. The sizes vary from 2100px to 3000px. If you use these brushes, you must link back to the page where you downloaded them. 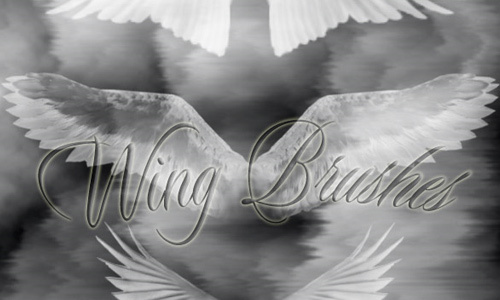 Here are free realistic wing brushes that you can add in your Photoshop presets. The sizes of the brushes are fairly large (400px to 1000px) and vary in different bird wings. They are compatible to Photoshop 7 and above. 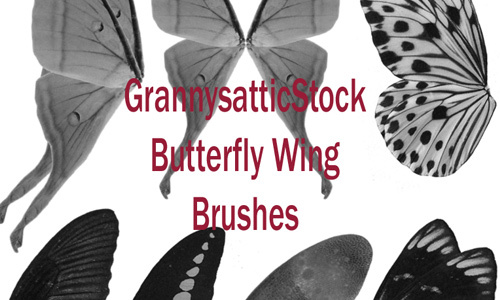 Here is a pack of some realistic wing brushes of butterfly and dragonfly. This pack includes 19 beautiful brushes with sizes that vary between 125px and 547px. These brushes will work on Photoshop CS and higher versions. Feed your design hunger with our very own exclusive brushes that you can use for your projects. Make sure to see them! 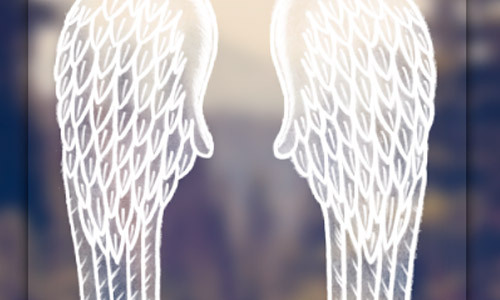 For this set, you get 5 doodle brushes of cute wings that you can use in your Photoshop. 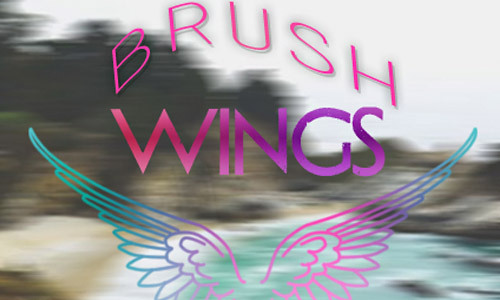 You can add fun and free-spirited elements with this wing brushes. They are all available for personal designs projects. Brush Set 43 contains 9 pairs, (or 18 independent brushes) of wing brushes, which are compatible for Photoshop 7 and above versions. Also, the download comes with the brushes’ counterpart images in PNG format. They can be used for any personal and commercial use. When you use them however, you need to provide a link back to the page where you downloaded this brush set. This set includes six very big wing brushes. 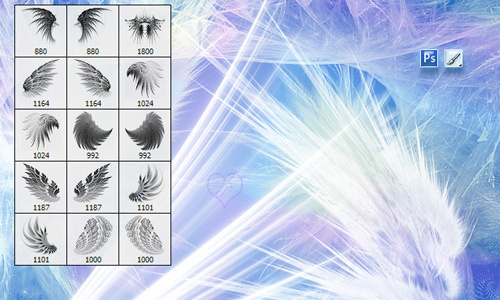 The brushes’ sizes range from 2000px to 2400px and they vary in kind – from insect wings to feathered wings. In this next set, we have 22 wing brushes that are designed with tribal patterns. They are divided with outlined and filled designs and have sizes that differ between 420px to 1220px. 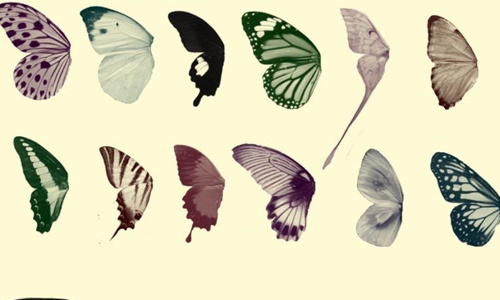 Here is a pack of 24 brushes (or 12 pairs) of wing butterflies. The brushes in this set are compatible for Photoshop 7 and the later versions. 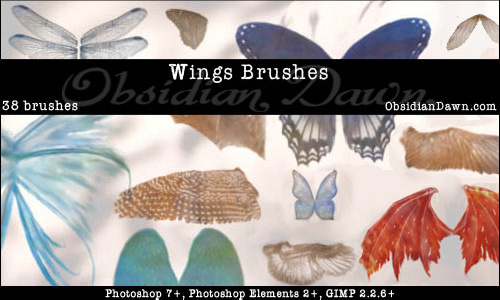 This pack includes six fantastical wing brushes for Photoshop. They were made in CS2 and can be used for later Photoshop versions as well. Also, these are brushes are available for personal and commercial design projects. For this pack, you can get 4 unrestricted wing Photoshop brushes. They are free for personal and commercial design projects as long as proper credit is given to the stock provider. These are compatible for Photoshop CS3 and later versions. 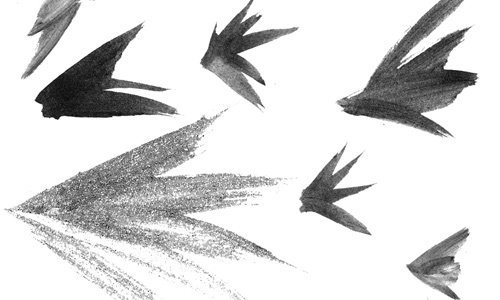 Here we have a set of abstract wing brushes. It contains 10 brushes that were made from brush strokes forming wing shapes. They are also free for personal and commercial use. However, proper credit is needed to be given to the provider of these brushes. Another pack that gives you fractal brushes. It contains 6 pairs of wing brushes (12 brushes in total) that will give you an abstract effect to your personal or commercial design when you apply them. They are compatible for Photoshop 7 and the later versions. 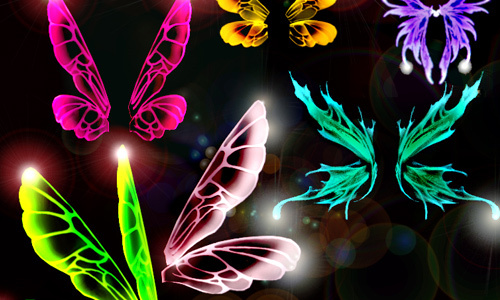 Add your options in creating beautiful fantasy-themed designs with this pack of fairy brushes. This pack consists of 18 brushes. 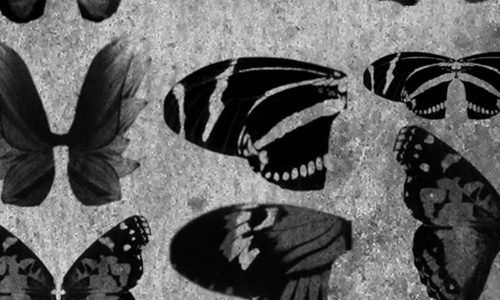 This next brush pack contains 7 brushes of butterfly wings. 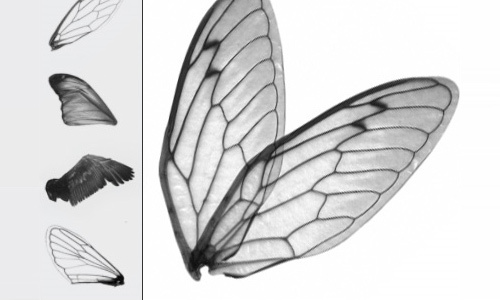 They were created from the real images of butterfly wings. These brushes can be used for photomanipulations and any design you can think of. 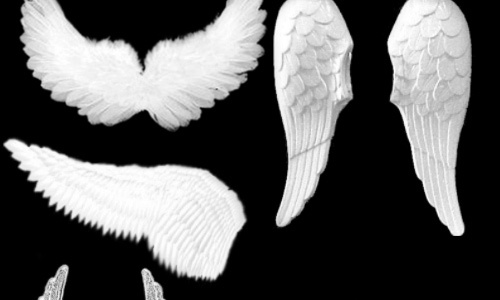 Here we have 20 photoshop brushes of digitally created wings. The brushes range in size (250px – 430px). They are available for your personal design project provided that proper credit is given to the creator of this brush set. 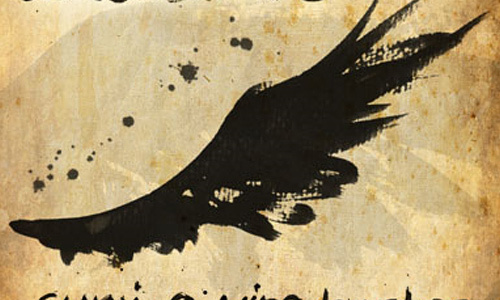 In this next freebie, you get a set of Photoshop brushes where the wings are grungy. They can look great for grunge and vintage designs. You can use them in any designs you have. 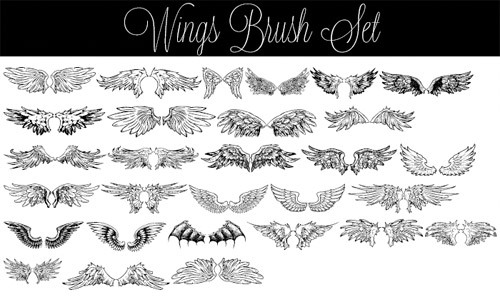 This set contains 9 various kinds of wing brushes that were made in Photoshop 7. These brushes are working in Photoshop 7 and higher versions. If you use the brushes of this brush pack, link back should be given to the creator (ProphecyGirl). 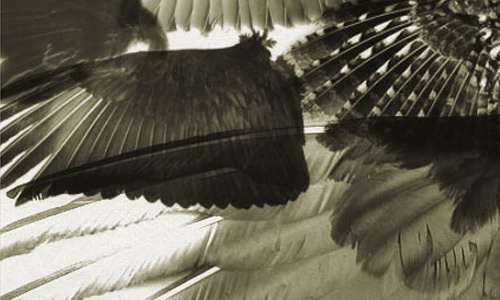 This next pack contains 3 realistic feathered wing brushes. Their sizes are in 934px, 1199px, and 1571px. 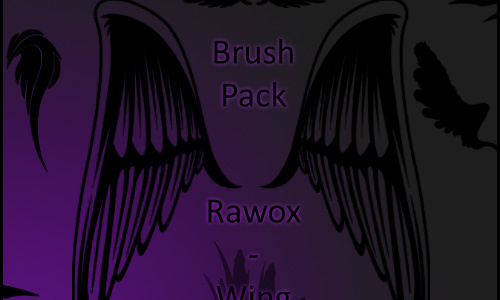 This pack includes 4 brushes of dark wings. They are perfect to add in Photomanipulations and other digital artworks or any design you can think of. The brushes are in sizes 930px to 1200px. 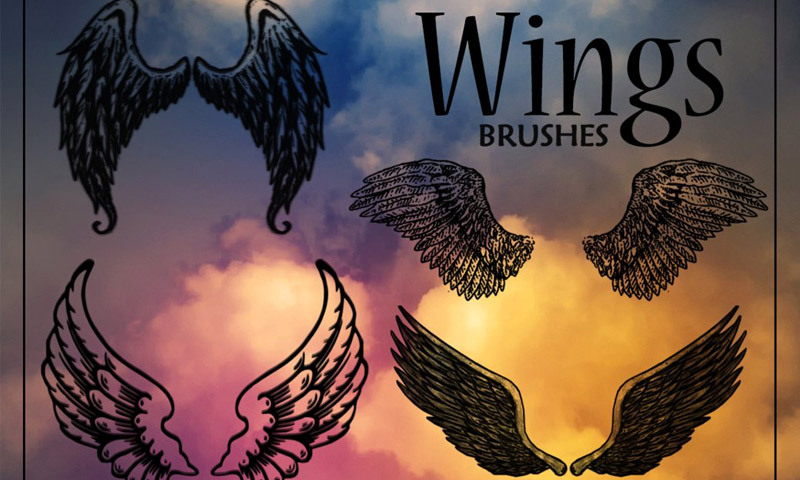 Here is a brush pack of wings with fantasy-theme design and soft features. This pack includes 7 brushes that you can use for your digital artworks and photomanipulations. 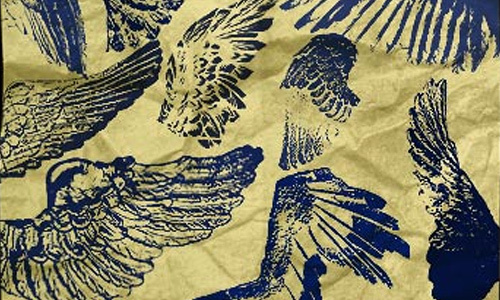 For this next set, you’ll get 4 brushes of hand drawn wings in 412px, 516px, 544px, and 613px. 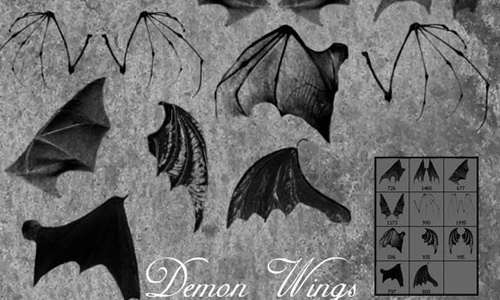 This next freebie gives you 6 pencil drawn wings that you can use to add a sketchy effect to your design project. These photoshop brushes’ sizes vary from 275px to 555px. 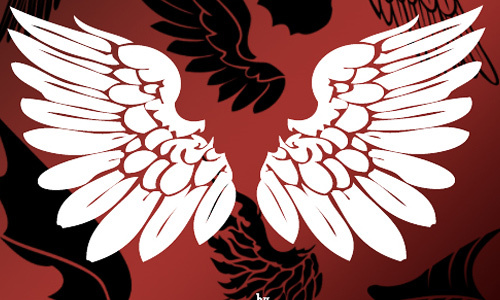 Here are 3 free Photoshop brushes of outlined wings that you can use on your doodle-themed designs and anything that needs some fun and creative elements. 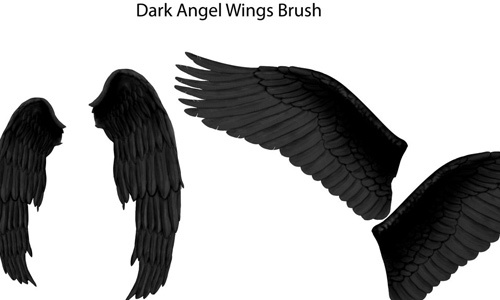 Next is a single brush that you can use if you need a long pair of wings for your design. It’s in 613px and can be used in your designs as long as you credit the creator of this brush stock. 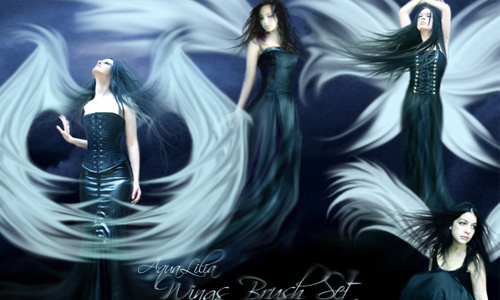 In this next set, you have 9 hi-res brushes of awesome wings. The brushes range from 826px minimum to 1891px big. 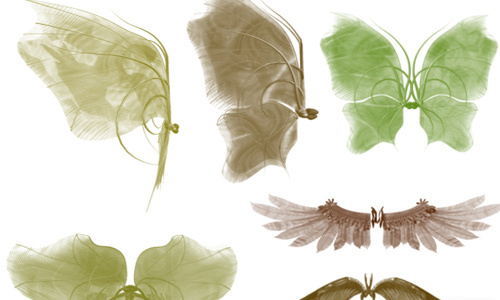 For our last feature of the list, we give you another 29 brushes of wings that were created through digital drawings. These are great to use on your designs with their adequate sizes (433px – 1108px). Thanks for the great list, keep posting like that..
wow cool stuff u got here..keep posting like those brushes often..they are so awesome! Truly amazing brushes i could use some of these ..
Oh damn! awesome list. certainly they will be on my work! Great resources. always want to visit your site. i dont know why im so excited to see your new post. maybe its naturally amazing!!! keep it up guy!! !